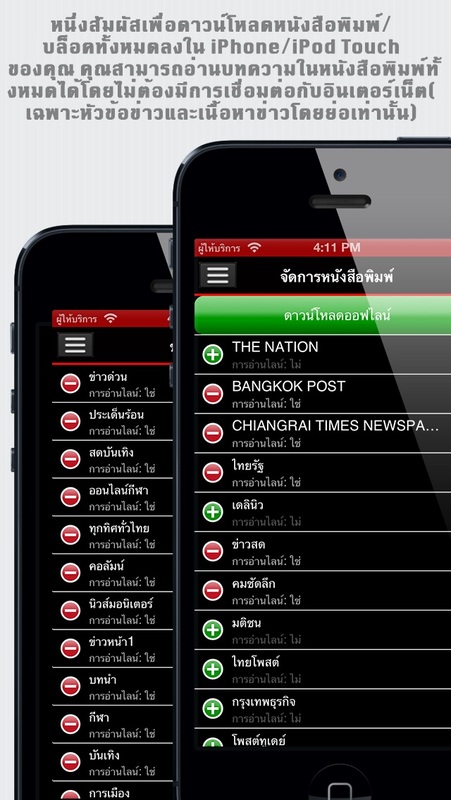 Thai News+ (Thailand Newspapers+): The best selling news apps in UK, Germany is now available in Thailand. 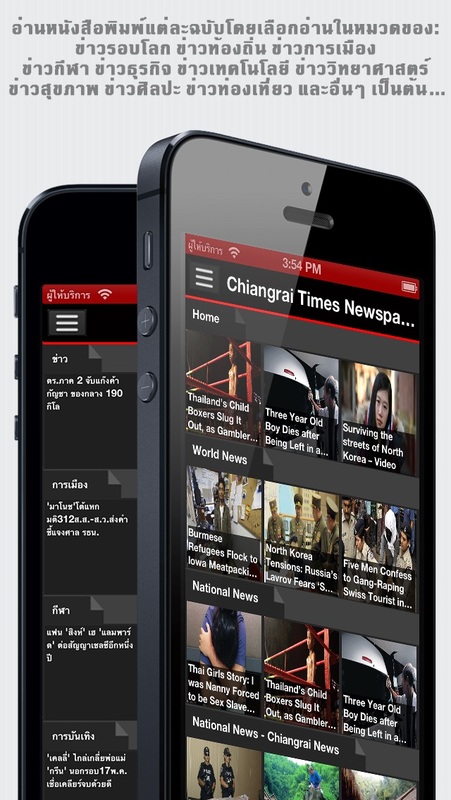 + Dozens of English newspapers and Thai newspapers in Thailand, excellent user interface, universal application on iPhone/iPad. 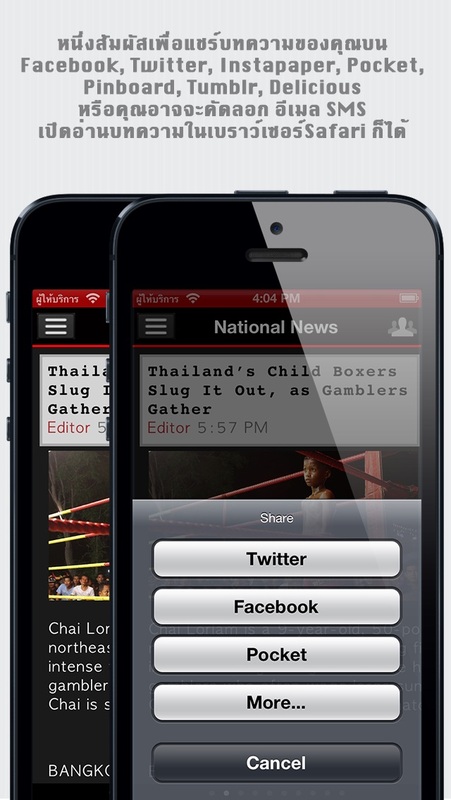 + One tap to share your article to Facebook, Twitter, Instapaper, Pocket, Pinboard, Tumblr, Delicious. Or you can copy, email, SMS, open the article in Safari. 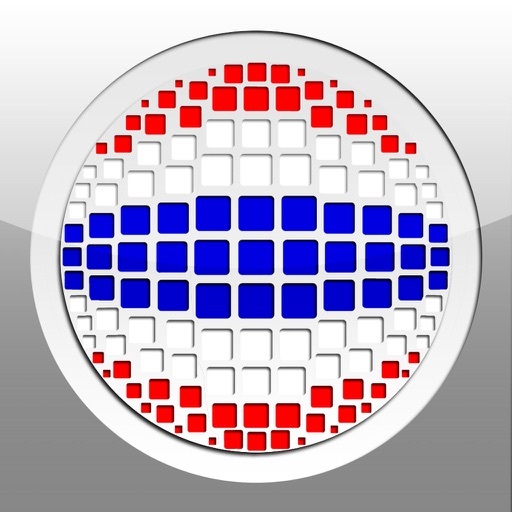 + "Brilliant application, I use it everyday to stay in touch with the news in my country." We love to hear your thoughts, don't hesitate to send us a message: support@sunflowerapps.com or you can simply write a review on the AppStore.